We’ve had a few posts lately about love—all different kinds of love—and the way we communicate our feelings to each other, including through music. If, as scientists tell us, the sense of smell is the fastest route to memory, I believe music is the best way to keep us in the images that we recall. How many hit songs, new or old, bring up snippets from the past and spontaneously lead to another recollection, which happily obliges by sending us off down yet another memory lane. Now that we’ve reached the end of the entertainment award season, I thought about all the tunes I never knew were named “Best Song.” I never knew how many have had a prominent place in the soundtrack of my life. And, it’s fair to say that some Oscar winning songs have lasted much, much longer than the movies. True, some have gone out of style for subsequent generations, but it’s surprised me to see the number still prominent on an almost universal soundtrack of love. How many of these have you danced to over the years? Or maybe just hummed along with when you hear them in random places—like the supermarket store. “The Way You Look Tonight,” from “Swing Time,” circa 1936! What? I had no idea that song was a movie theme. And way back in ’36? 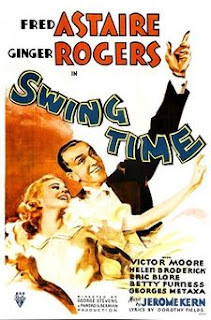 I’d never heard of “Swing Time,” but it turns out it was Fred and Ginger together again. I’ve danced to the theme and hummed along with it all my life. It’s been covered by many jazz and pop artists, including Adam Levine and Frank Sinatra. “Love is a Many Splendored Thing,” from the movie by the same name, 1955. 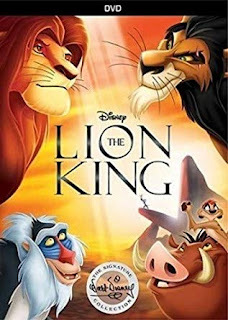 For some reason, despite the dated nature of the story and attitudes, among other things in the move, it remains a pretty good love story, and another song that holds up and keeps coming back. And it has the advantage of having easy-to-remember lyrics. Andy Williams and The Lettermen did their part to keep it famous. “Moon River,” from “Breakfast at Tiffany’s,” 1961. When I finally saw the movie only a few years ago, I had a ho-hum reaction to it. I admit I wondered why BAT was considered such a classic. But what is it about this song that brings out the romantic in all of us? Andy Williams and the incomparable Aretha Franklin made this song their own—I’m partial to Elton John’s performance of it. “Evergreen,” from the 1976 re-make of “A Star is Born.” I haven’t heard it much lately, but it’s one of those songs that’s stayed with me over the years. “I Just Called to Say I Love You,” from “Lady in Red,” 1984. Maybe it’s just Stevie Wonder’s voice that makes this song stick with me. But it’s a fun song and it seems everyone likes to sing it. Barry Manilow sings it, not a surprise, but I never knew John Prine picked it up. Rumor has it this is a popular karaoke choice. 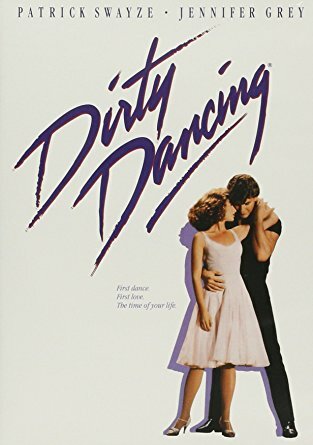 “I’ve Had the Time of My Life,” from “Dirty Dancing,” 1987. This is a case where the movie doesn’t seem to age all that much. No wonder the song stays popular. 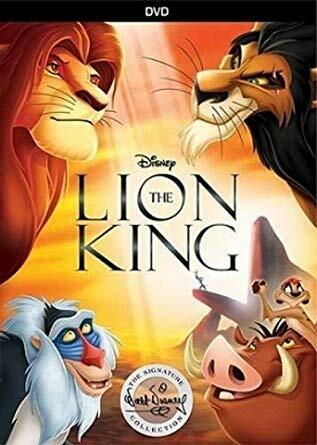 “Can You Feel the Love Tonight,” from “The Lion King,” 1994. Someone told me this has had a stint on a list of common wedding songs. I don’t know one way or the other, but it would make sense to me. I’m certain we’ll be listening to it for years. It’s a great “belt out when you’re home alone” song! These songs are about romantic love, but I know of many wonderful Oscar winning songs that encompass other kinds of love involved in struggles to grow up, achieve social justice, and even loving the earth itself. I’m sure you all have your favorites—which songs have made into your soundtrack for love? 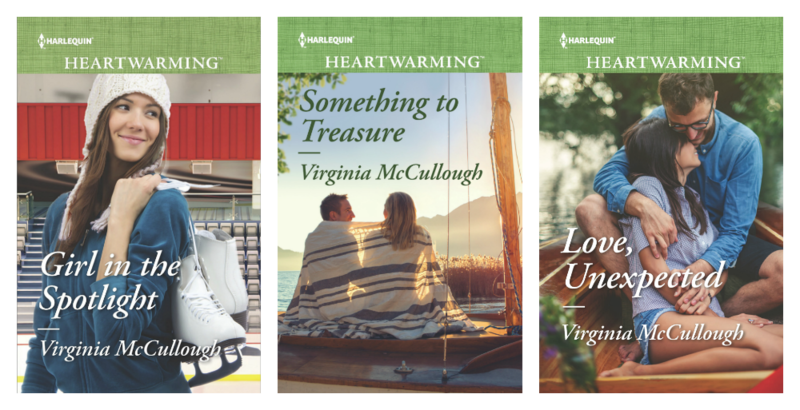 Virginia McCullough is happy to announce an August release for her new book, A FAMILY FOR JASON, Book 1 of her new Harlequin Heartwarming series, Back to Bluestone River. Now she’s writing the second book and is still immersed in the Illinois prairie town, a place that has seen better days but could be making a comeback! 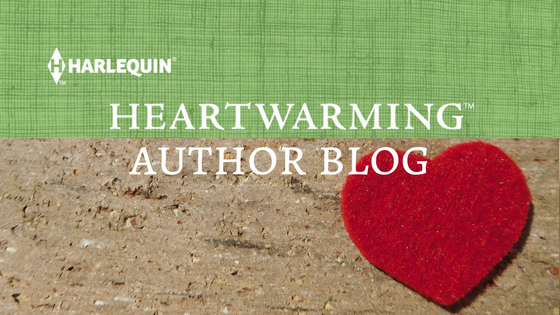 An author of both nonfiction and fiction, Virginia writes about characters who could be our neighbors and friends struggling with everyday life issues. The final book of her Two Moon Bay series, LOVE, UNEXPECTED, was released in May 2018. 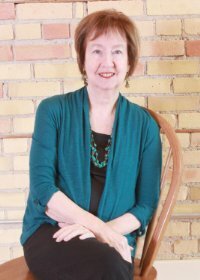 Born and raised in Chicago, Virginia has moved around a lot and now has settled down in Green Bay, Wisconsin, where she enjoys hanging out with other romance writers. She hopes to see many of her Heartwarming colleagues this summer in New York at RWA’s National Convention. 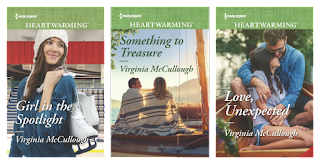 A writing coach and independent editor, Virginia’s other award-winning romance and women’s fiction titles include THE JACKS OF HER HEART, AMBER LIGHT, and GRETA’S GRACE. Ah, yes, love dancing to that song--and in all sorts of locations. The kitchen has done nicely on occasion! Thanks. I can't carry a tune, but I love music. Go figure. I was listening to the Phantom of the Opera soundtrack earlier this morning and it took me back to when I saw the movie. The great thing about singing at home alone or in the car is that no one cares if we can hit the high notes or even carry the tunes. I always most of us get a real lift when we're belting out tunes. All great examples. Music does seem to stick in your memory. As well as all these wonderful love songs, I've got hundreds of commercial jingles stored away in my memory banks. We should match our commercial jingles sometimes. Can you believe how long they stay in your brain ready to loop through at the slightest encouragement! Such a great reminder of all that good music! And yes, it triggers memories. All of those old musicals, like Swing Time, remind me of my father. He loved them and showed us each and every one of them, many times! I know some people were raised with Fred and Ginger and the old musicals with the staircases and elaborate costumes. Somehow, I missed much exposure to them, but maybe not to the music. Thanks...nice to have reminders of things our parents enjoyed. I love listening to music. I'm a fan of most kinds and love to watch the award shows for all kinds of music. I like the award shows because even if I don't care for the movie, for example, or the music, no one gets these nominations without working hard--they deserve recognition! I loved this post--and so many of these songs. And now I have "A Hard Day's Night" clamoring in my head. Not a love song, but I love it so! I didn't grow up watching the Fred and Ginger movies, but I watch them now when they come on. I miss gentleness so much. That song goes through my mind, too. Funny how all the words come back--they're apparently stored in some little file cabinet in my brain. I didn't grow up with Fred and Ginger, either, and I had no idea they were still popular. I'll actually have to watch of their movies and see what I've been missing. Thanks.